Our client, a licensed registered nurse, was charged with three misdemeanors in connection with an altercation with her husband, wherein she allegedly used a knitting needle to stab her husband. Our client actually never stabbed her husband, but she raised the needle up as if the sink it into him, or at least as he feared. The District Attorney charged her with three misdemeanors: 1) Penal Code Section 273.5(a), corporal injury to a spouse; 2) Penal Code Section 243(e)(1), battery upon a cohabitant, spouse or one with whom defendant has a dating relationship; and 3) Penal Code Section 242, simple battery. Synopsis: Redondo Beach, registered nurse client almost stabs husband with knitting needle, case plea bargained to delayed entry of judgment and dismissal. As with most cases of domestic violence, the alleged violence was a manifestation of stress. Here, our client, age 35, was attempting to become pregnant, so she stopped taking medication for manic depression, which affected her fertility. Complicating matters, she and her husband were recently involved in a car accident. When they argued ever so slightly on the evening of the alleged incident, our client picked up the knitting needle and her husband called the police. 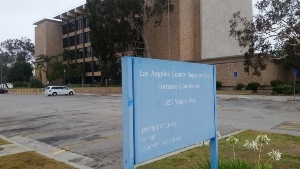 The Torrance District Attorney viewed the case as extremely serious, first offering ten days in county jail, three years of summary probation, fines approaching $2,000, a donation of $400 to a battered women’s shelter and 52 weeks of anger management classes. The client would also have to pay the $390 booking fee. After Greg Hill of our office explained to the District Attorney the background to the case and the rather minor nature of the argument, as well as the fact that our client voluntarily renewed taking her medication for manic depression, the District Attorney “sweetened” the offer. Further negotiations, including Greg Hill presenting the District Attorney with a Good Gal packet to let the District Attorney see that our client was a good citizen. After all, our client had no prior record. The big concern with our client was the effect of any plea bargain on her RN license. After several months of negotiation, our efforts were rewarded with a plea bargain wherein the District Attorney amended the complaint to allege assault, which helped with our client’s license issues, as assault is far less serious than battery or domestic violence. Our client would then plead no contest to assault only with a delayed entry of judgment for one year. The District Attorney further agreed to dismiss all other charges in exchange for our client attending 26 anger management classes, paying a $150 fine, making a $400 donation to a battered women’s shelter and paying the $390 booking fee. Provided our client completes the anger management classes and pays the fines and fees, the assault charge will be dismissed in one year. Had our client fought his case at trial and been found guilty of all charges, she faced a maximum of three years in jail and the very likely revocation, or at least suspension, of her license as a registered nurse. With the plea bargain pled to, she will likely have all charges dismissed. If you or a family member has been charged with Domestic Violence, Battery or Assault, call our office today. One of our criminal defense attorneys will speak with you immediately and will fight vigorously for you. Don't risk losing your employment or your reputation. Call us today at (310) 782-2500 for your free consultation. We are available 24 hours a day, 7 days a week to help you. When payment is an issue, we have very competitive flat fee rates to represent you or your family member. In special circumstances, we will also consider payment plans where payments are spread out over time. We also accept all major credit cards.